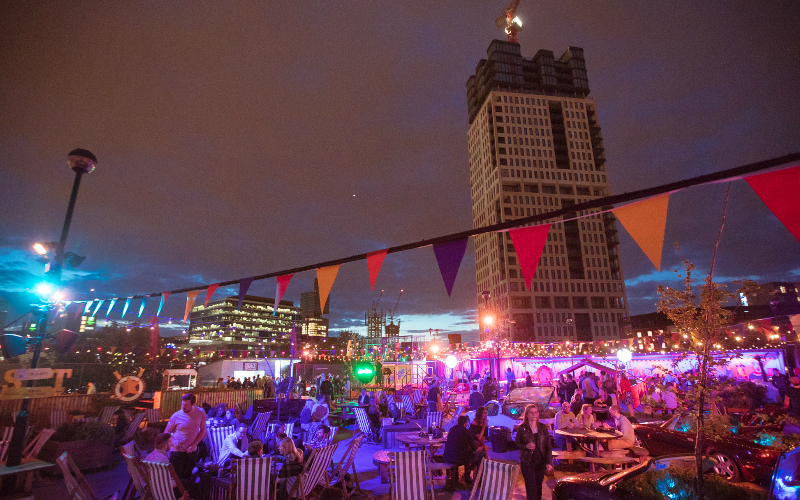 Social Fun & Games Club is back at Roof East for summer and they’ve got a new look, new games and new street food. Not only are Birdies crazy golf and batting cage Sluggers returning to the roof but House of Foos, a VR mix of football and table foosball, is heading up there too. You’ll also be able stretch it out with Flow East Yoga, catch a movie with Rooftop Film Club, and chow down on street food from the new Roof Eats line-up, which includes Eat Chay, Kolkati and Jimmy Garcia’s The Burger Project. And you get all that with a bangin’ view over the Olympic Park as your backdrop. Bring on summer.